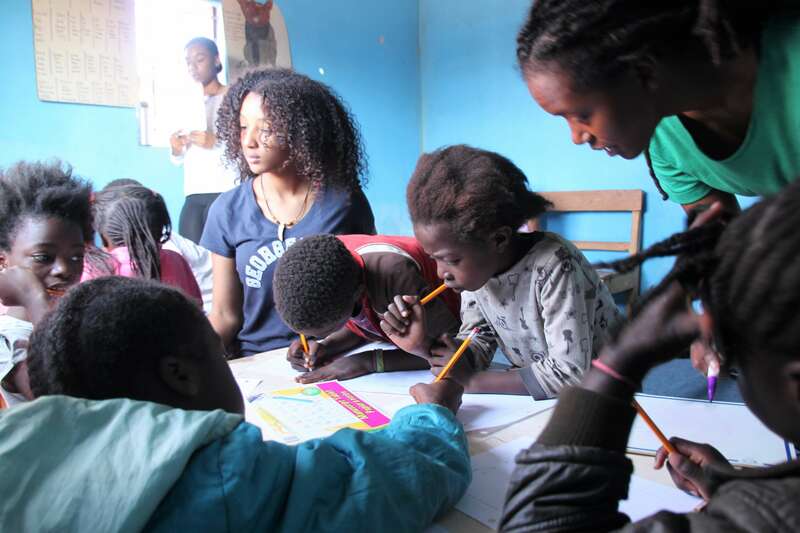 Danyelle Duckett is a Changemaker because after she volunteered for various education initiatives in Zambia with LearnServe International, she came home determined to start a program to further help increase access to education for children in Zambia. 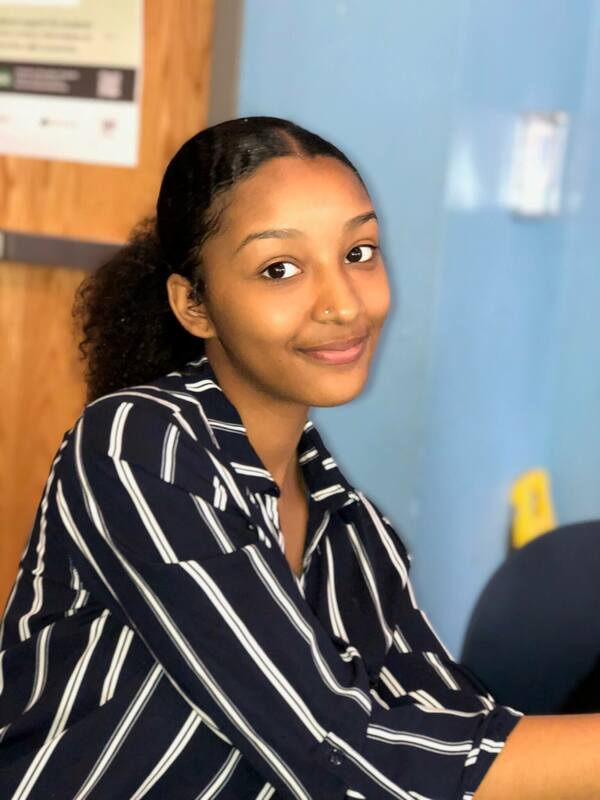 Danyelle fundraised on Givebutter to cover the costs of her trip, and she’s now working with the LearnServe Fellows program to develop her new venture. And she's only just getting started. Danyelle had always wanted to travel abroad, but she didn’t think she’d have the opportunity until college or later. But then her counselor at Cesar Chavez Public Charter School, where Danyelle is currently a senior, introduced her to LearnServe International. LearnServe aims to empower middle and high school students to bring positive change within their communities through a combination of entrepreneurial spirit and leadership. 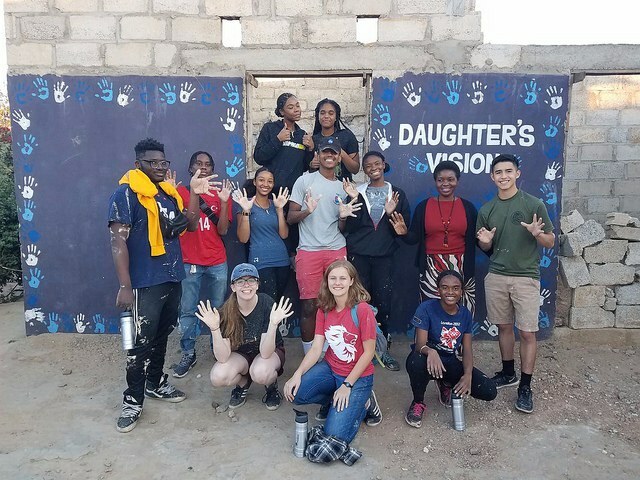 One of their programs, LearnServe Abroad, gives high school students the opportunity to work with peers in Jamaica, Paraguay, South Africa, or Zambia on designing and implementing effective, relevant volunteer projects. The projects are intended to combine social innovation skills with a global perspective. Danyelle was accepted into the Zambia program, and she began a series of weekly workshops with LearnServe and the other eleven students who would be joining her on the program. They participated in study groups to help educate them about the places they were going to visit and prepare them for the kinds of projects they would get to work on. During the trip, Danyelle and her fellow participants had the opportunity to visit multiple schools, student support programs, and an orphanage.  The organizations LearnServe partners with are identified for their innovative solutions to social problems. For example, Chikumbuso, a supportive program for women and orphans that the students visited, functions as a social enterprise firm at which vulnerable women can create products out of recycled materials (including handbags and other craft items) to sell for a profit. Students are encouraged to think about their volunteer work through the lens of Human Centered Design. They partner with students their own age at the programs they visit and work together to develop social action projects that best suit the needs of the organizations. The volunteers also had the opportunity to learn about environmental degradation and reclamation within the context of Victoria Falls, one of the natural wonders of the world. They spoke with representatives from Greenpop, an organization that works to spread environmental awareness and action through planting trees throughout Southern Africa, about ongoing efforts to support urban greening and reforestation. Along with many LearnServe Abroad students, Danyelle created a fundraiser on Givebutter to help defray the cost of the trip. While LearnServe is committed to ensuring that students can participate in their programs regardless of ability to pay, students are encouraged to create their own fundraising initiatives to support their trips, and that’s where Givebutter was able to offer support. Danyelle’s fundraising page, like her peers’, gave her the opportunity to share her trip and upcoming work with family and friends and ask for their support. One organization on the trip in particular had an especially large impact on Danyelle. 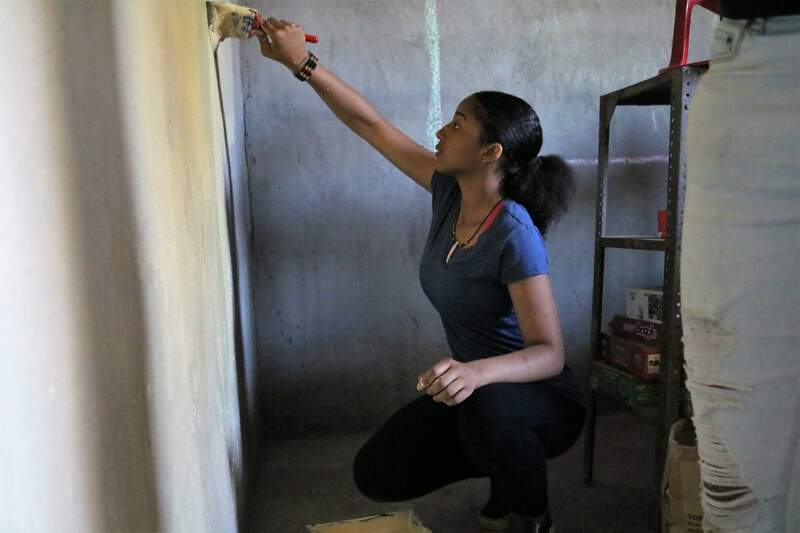 At Daughter’s Vision, Danyelle had the opportunity to help paint multiple rooms at their school and teach English to some of the students. She was so inspired by the founder of the school, Gladys--who funds the school out-of-pocket and educates all sixty students on her own--that she decided to start her own education initiative when she returned home to the U.S.
“LearnServe has changed my life. I’m even more passionate about traveling abroad. If it wasn’t for LearnServe, I wouldn’t have traveled until college or law school, it wouldn’t have been a big priority because I wouldn’t have known what it could give me." What’s next for Danyelle? After college, she intends to attend law school and become a discrimination lawyer, and eventually open her own firm. Wherever she ends up, we are confident she will continue to make change.